The federal government has committed $400 million over the next decade towards housing for Inuit in Nunavik, Nunatsiavut, and the Inuvialuit settlement area, one of a number of promises aimed at Northern communities and residents in the 2018 federal budget. 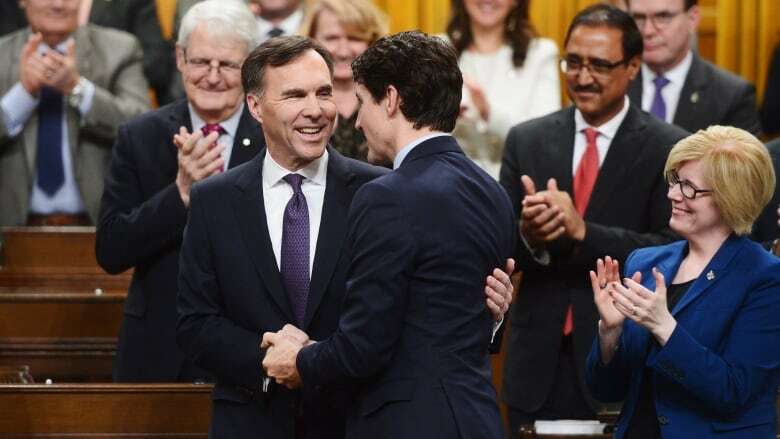 The federal government has committed $400 million over the next decade toward housing for Inuit in Nunavik, Nunatsiavut, and the Inuvialuit settlement area, one of a number of promises aimed at Northern communities and residents in the 2018 federal budget. The promised funds are in addition to the $240 million promised last year to improve housing in Nunavut over the same time period. Over $500 million in total was dedicated to supporting Inuit priorities in the 2018 budget, including $27.5 milllion over five years to eliminate tuberculosis in Inuit Nunangat and $82 million over 10 years for the creation of a permanent health survey. The government says their approach to eliminating tuberculosis will support an Inuit-specific approach developed by Inuit Tapiriit Kanatami, "which includes enhanced community-wide prevention, detection, screening, treatment, communications and awareness, and addressing social determinants of health." $161.2 million over five years in the Inuit stream of the Indigenous Skills and Employment Training Program, as well as amending the Nunavut Act to "resolve the legal gap for the Government of Nunavut to manage wildlife pertaining to Indigenous harvesting for game food." $325 million in the Métis Nation stream of the Indigenous Skills and Employment Training Program. The creation of a new $1 billion Nature Fund — including a $500 million contribution from the federal government — which will work to create and expand Canada's protected areas, support the protection of vulnerable species, and build Indigenous conservation capacity. $23.9 million over five years for Parks Canada to "integrate Indigenous views, history and heritage" into its national parks, marine conservation areas and historic sites. Funding for the Harper-era Canadian Northern Economic Development Agency, or CanNor, has been extended on an ongoing basis. The organization will receive $20 million in the 2018/2019 budget year. Currently scheduled to expire on March 31, 2018, the Mineral Exploration Tax Credit, aimed at helping junior mining companies finance mineral exploration, has been extended for another year. $500 million has been promised over 6 years to advance ocean and freshwater science. $167.4 million over 5 years has been allocated to helping "protect, preserve and recover endangered whale species in Canada." $20.6 million over four years, starting in 2019/2020, to POLAR Knowledge Canada. The money is intended to support the Canadian High Arctic Research Station in Cambridge Bay, Nunavut. $490 million over two years has been allocated to extend the Non-Insured Health Benefits Program. $248.6 million over three years has been allocated for services — including mental health and emotional supports — to residential school survivors and their families. The government will no longer provide loans to fund Indigenous participation in the negotiation of treaties. Funding will now be provided as non-repayable contributions. The document states that the government will also work with Indigenous groups on how to address past and present loans, including loan forgiveness. $47.5 million over five years to expand the use of sport for social development in over 300 Indigenous communities. Equalization and Territorial Formula Financing, which provides the majority of budgets for each of the three territories, has been renewed for an additional five years. The government will also provide annual transition payments of $1.3 million to Yukon and $1.7 million to the Northwest Territories, starting in 2019/2020, "to offset projected negative impacts of the changes on TFF entitlements over the course of the renewal period."